Hotel Werner’s Villa in Szklarska Poreba has facilities for disabled guests (dropped kerbs, wheelchair friendly rooms, wheel-in showers). 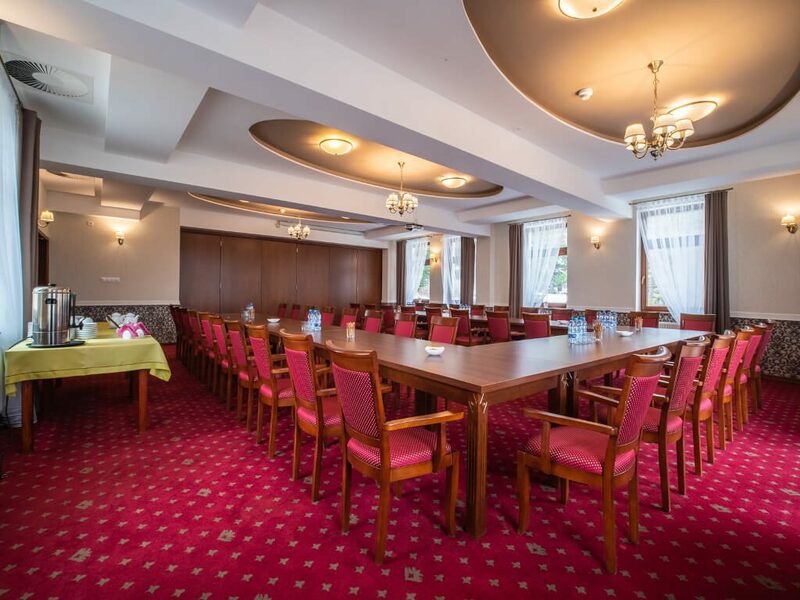 Reception located in the hotel’s spacious lobby with an open staircase leading to upper floor rooms, entrance to SPA as well as a roomy café with comfy seats – a perfect place for an aromatic morning cup of coffee or a fine wine dinner. There is a SPA on the lower floor, with Finnish sauna and steam room, as well as 8-person Jacuzzi hot tub with a customisable hydromassage, chromotherapy and a swimming pool with hydromassage. At the end of the hallway, there is a small conference room, which during the visits of non-business guest is set up to a table tennis room. There is also a table football and a fitness room. Our guests’ favourite place in the restaurant is the winter garden, which name is slightly deceiving, as the garden view through the big windows is marvellous during each season. In winter opens a truly breathtaking view of the mountain range. Imagine drinking hot aromatic coffee while watching the falling snow with the mountains on the background. 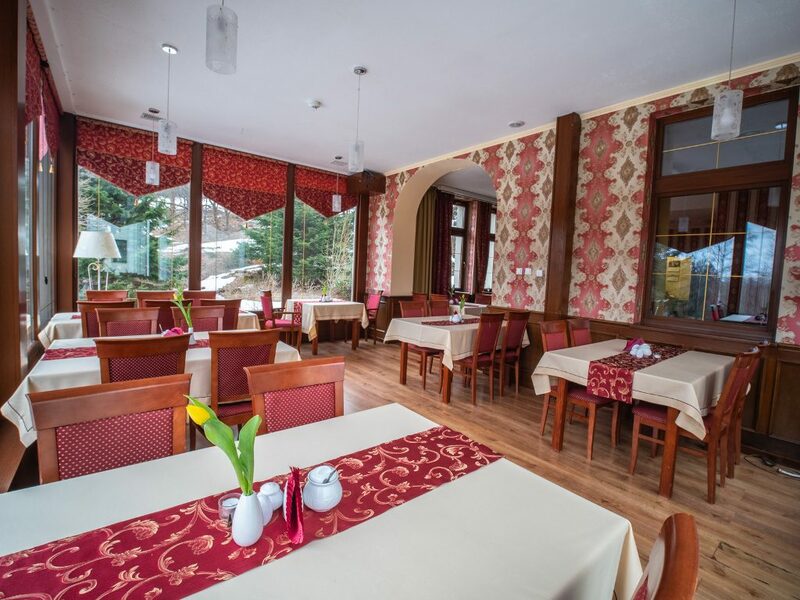 Hotel location is exceptional for the guests looking to relax in the intimate atmosphere, as it well hidden from the town buzz, although it takes only 15 minutes to get to the town centre. 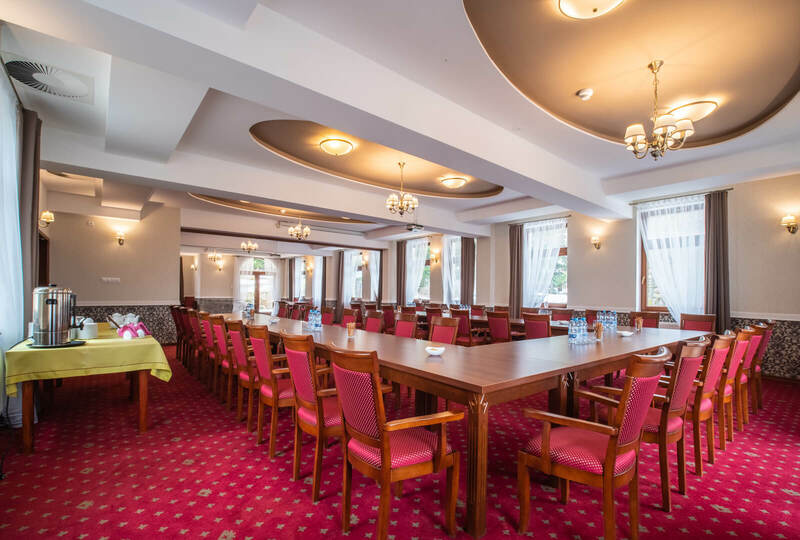 *For any additional information please do not hesitate to contact us directly by phone or by email..
We also have a large conference room accommodating up to 70 people with audio/visual resources. On the first floor, a fireplace emphasizing the intimate atmosphere of the place warmly welcomes guests to their rooms. All the rooms are provided with TV, en-suite bathroom, mini fridge and cosmetic sets. Some of the rooms have balconies. 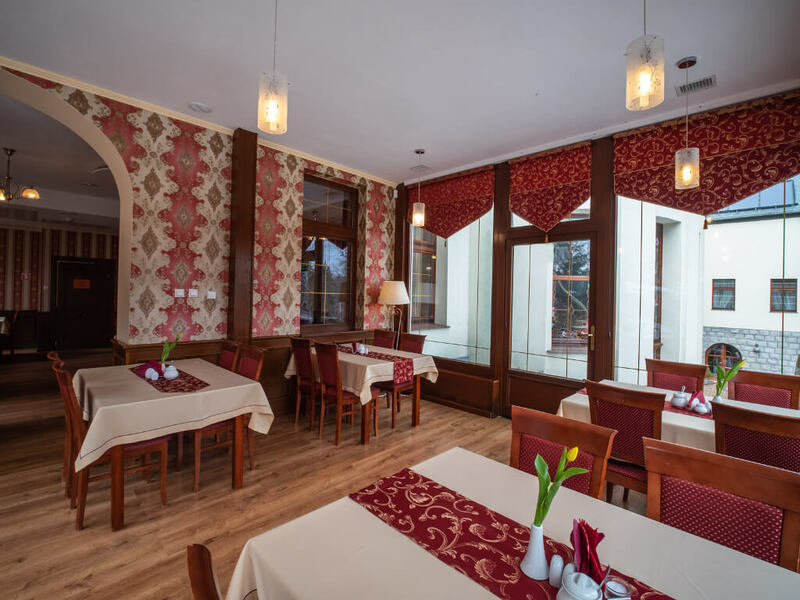 The way from the hotel lobby leads straight to the restaurant, where our chef serves supreme cuisine with recherché dishes for the real gourmands and some homemade food for traditionalists.